or just artwork to enjoy! A gallery of completed/sold frakturs to help you gather ideas. This is an 11x14 format fraktur. 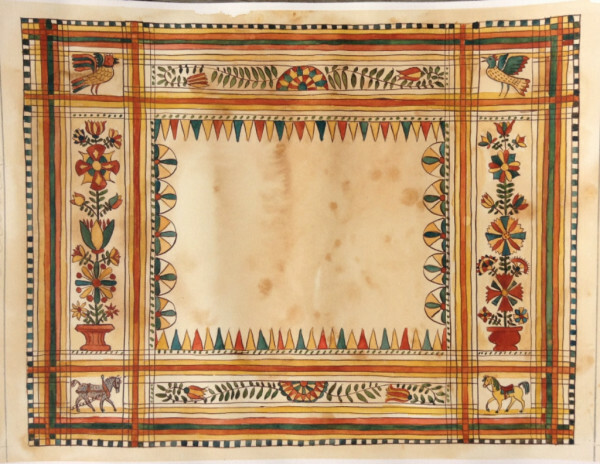 This fun 11x14 format fraktur lists the complete history of deed holders for a property. Who says Irish and Germans can't mix a bit? 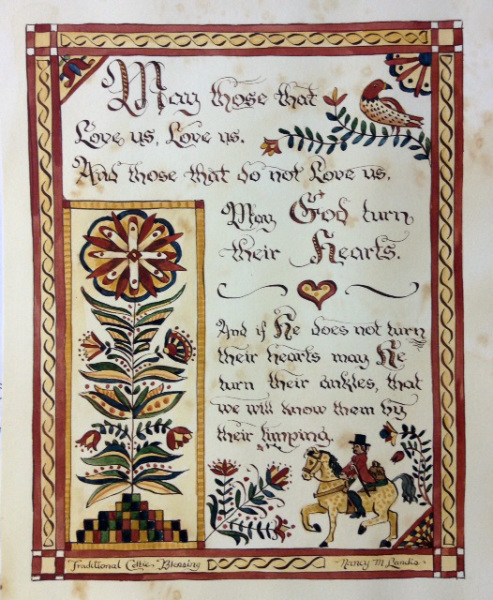 This 8x10 fraktur was completed as a gift for a retiring church official. This is a traditional style 11x14 fraktur completed as a wedding certificate. Customized elements include an eagle, a sheep and verse. 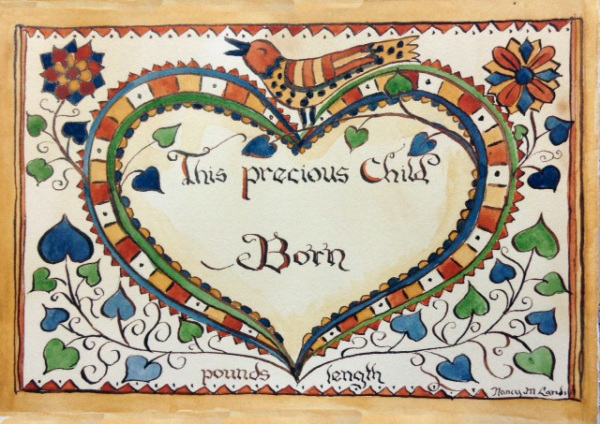 Traditional elements in an 8x10 format birth certificate. This 11x14 work is a fun idea for a family record. This fraktur is an 11x14 format customized for this new union. Gallery II-A look at what's on hand - Frakturs to finish and artwork ready to go. Please scroll through these for works that are in-house and available for sale. 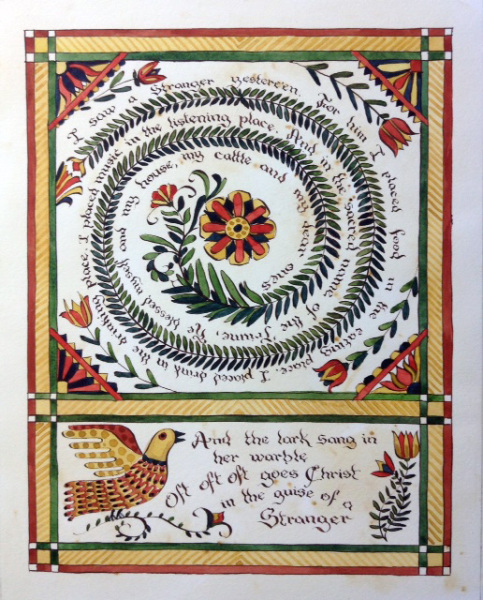 This is an 8x10 fraktur with traditional Celtic verse.